Learning and teaching. Two sides of the same coin. Everything we know about learning today tells us that effective teaching is not simply about delivering content. It is about what and how much content, when and how it is provided to students, how we ask them to engage with it, how we support them in the process of learning, and how we assess what they have learned. It is also about teachers continuing to learn ways to facilitate their students' learning. 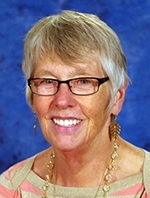 The Learning Teaching Center hosts an online portal with resources, materials, and videos from Dr. Maryellen Weimer's visit to the University of Dayton in Spring 2015. Visit our portal to learn more about learner-centered teaching and active learning. Access to the portal is restricted to members of the University of Dayton. The Teaching Professor Blog is written by Dr. Maryellen Weimer and features a new weekly post on such topics as: the scholarship of teaching and learning, student engagement, classroom policies, active learning, assignment strategies, grading and feedback, and student performance.